Now can you think of anything better to serve along side your dinner than these fluffy and easy to make Sweet Potato Biscuits? At our house we serve a long list of desserts from a wide array of pies such as this Pumpkin Pie to a Devil’s Food Cranberry Cake. Any way you like to celebrate, just make it full of good food, good people and great times. May your Thanksgiving be peaceful, and let us all be thankful for the joys we have, big and small, and for the food at our table and the roof over our heads. That is no small thing in the wake of so many disasters this year. Donate to any of these fine charities to give to victims of Typhoon Hayain or the Midwest Tornadoes: American Red Cross, Salvation Army and Save the Children. 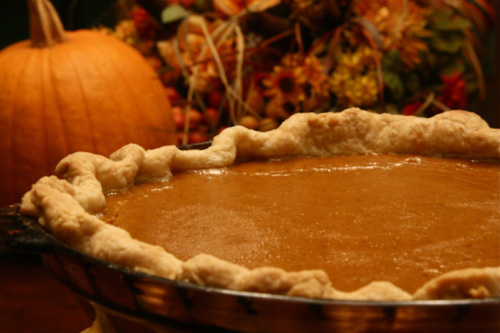 Hi Geni, Another great round up of Holiday recipes! I’m so glad you share these, it’s like a sweet trip down memory lane. Plus, it reminds me that I had wanted to make that cranberry cake!! It’s so gooey, chocolately delicious looking! And the salad is also one of my favorites! This is a great round-up, Geni! 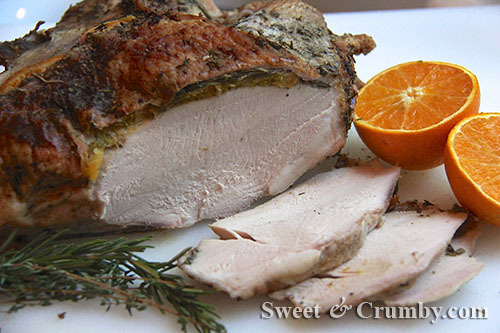 I think more people would roast a turkey breast instead of a whole bird if they realized ite advantages of doing so. I must say, though, that you really ended this post with a bang. That Devil’s Food Cranberry Cake will satisfy the chocoholics at your table while still remaining true to the holiday. Yum! A mouthwatering roundup! 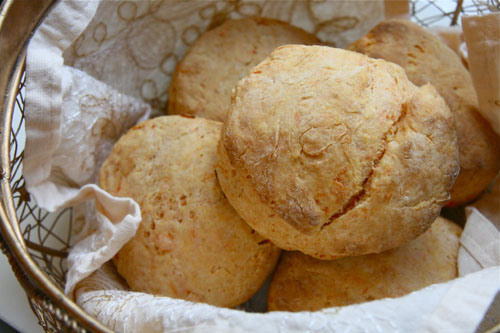 I love those sweet potato biscuits a lot! 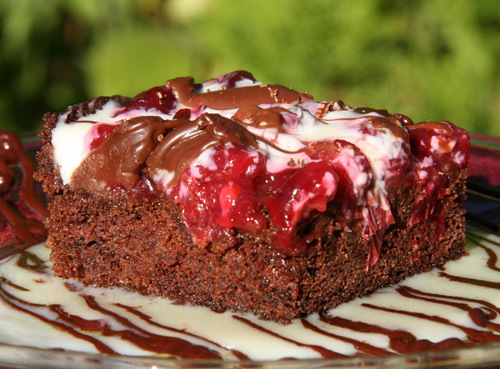 That Devil’s food cranberry cake sounds absolutely delicious! 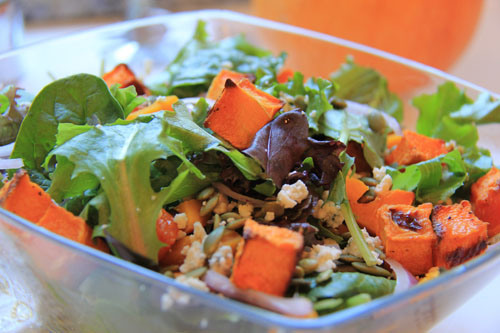 That maple roasted pumpkin salad looks amazing even aside from Thanksgiving! I hardly have ANY Thanksgiving recipes on my blog because with my large family I never host Thanksgiving and don’t do a lot of the cooking for that particular holiday! It is a different and tantalizing salad. Thanks for stopping by and commenting Emily! What a wonderful roundup of recipes. BTW for some reason I am not receiving notices of your posts even though I’m a follower. Sorry that I have missed so many nice posts and recipes. That’s strange. I will look into this. thanks! Thank you for the compliment as well. Please do…I haven’t received any notices in a long time. I’m happy that you haven’t stopped blogging, which is what I thought happened. Now that looks like a lovely feast! I’ve got my eye on those sweet potato buns and that Devil’s Food Cranberry Cake!